Nuby Teether | Multicolour | Bright color combination for development of visual sight. An ideal companion for your baby's teething phase, this teether will soothe your baby's tender gums. 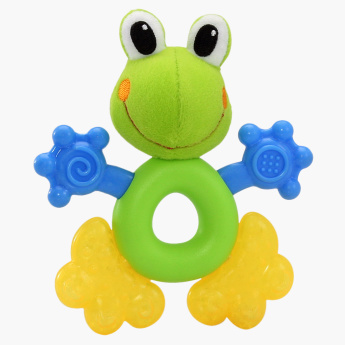 The bright tone of the teether will attract your baby and further encourage him to use it.